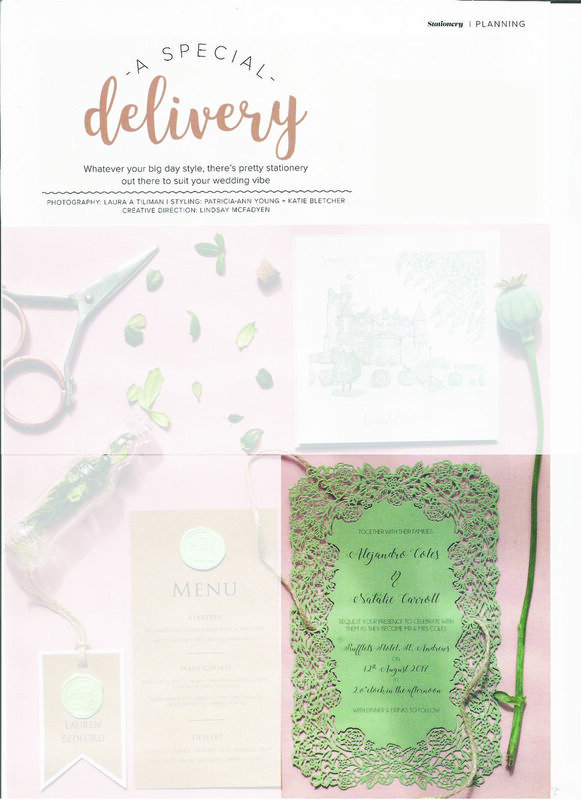 On of our most popular designs were featured in the December 17' issue of Scottish Wedding Directory magazine. This design has been a big hit from day 1. Its simple but detailed design fits a variety of wedding themes & schemes. Can be found in issue autumn 17 issue page 253. 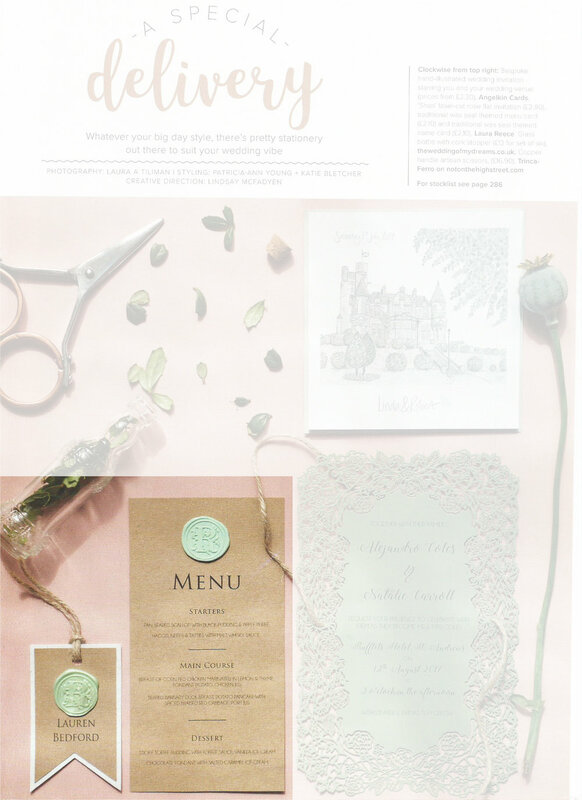 Our stag themed wooden invitations were featured in Scottish Wedding Directory magazine. This design has been popular for those who are having a rustic, Scottish themed wedding. One of our couples, Emma & Jimmy decided on a football theme for their big day! Football tickets for invitations, the greats from history as a seating plan & more! Click below to read the full feature. We LOVE this floral themed design. Available in various colour schemes this design was featured in the magazine in pink which fitted in with their pink florals theme. Can be found in autumn 17' issue, page 254. 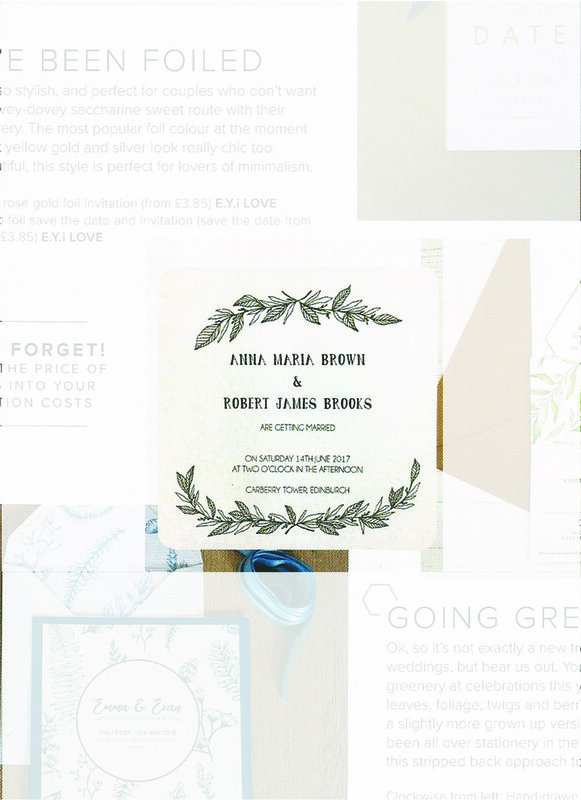 Laser cut wedding stationery is so loved by our couples! This delicate piece was featured in the magazine for the ' A special delivery' feature. Our traditional wax seals are great for addition a little touch of regal to your stationery. Our seals were used on menu & name cards which were then featured in the magazine. 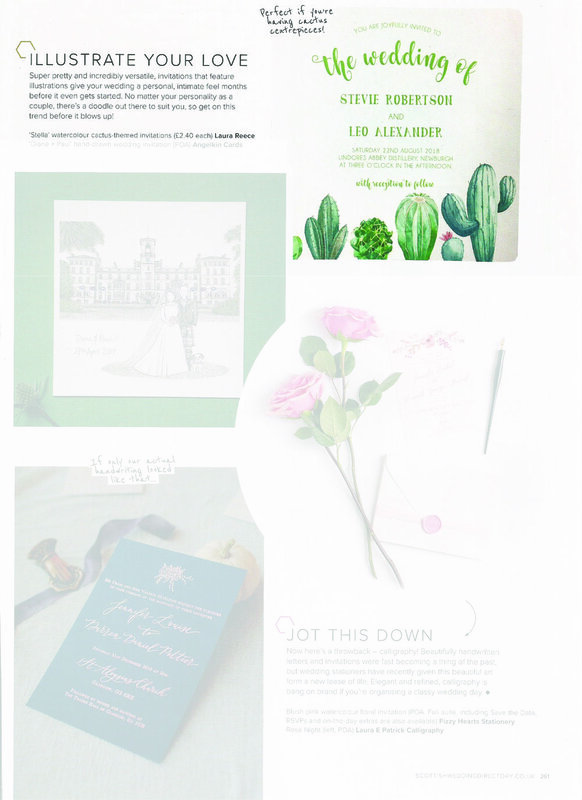 Cactus themed wedding stationery is so popular right now! Our latest design 'Stella' was featured in the Scottish Wedding Directory magazine. Can be found in Winter 18' issue, page 261. Personalised cigars are a perfect gift for the Best Man or Father of the Bride. This product was featured in the 'SWD Loves..' section of the magazine. The 'Stephanie' range was included in the magazines 'Going Green' article. Can be found in Winter 18' issue, page 260.